Market corrections are often opportunities to bag quality assets at knockdown prices and this applies just as much to investment trusts as it does to individual stocks. Helpfully there is an easy way of telling when a trust might have reached a bargain level. A quick look at the industry body Association of Investment Companies’ website allows you to check whether a trust is trading at a premium or discount to its net asset value (NAV). The NAV is the value of its investments, minus any debt. Not every trust languishing at a discount to NAV is a true value opportunity. For example a trust in this situation could have a poor track record or be invested in highly illiquid assets which would be tricky to sell. Data from financial services group Winterflood reveals a substantial list of equity-focused trusts which are trading at materially larger discounts than they typically do (based on the past 12 months’ data) and even some which are trading at a discount when they would usually trade at a premium (see accompanying table). It is worth noting that share prices may have moved by the time you read this article, so some of the examples may no longer be trading at bigger discounts (or small premiums) than their 12-month average. You can easily calculate the current discount or premium by either looking at the data on the AIC’s website, or going to London Stock Exchange’s website where most trusts will publish NAVs on a daily basis. You can then compare the latest published figure with the current share price. This article features four trusts where we think investors should take advantage of the wider than average discount: JPMorgan Mid Cap (JMF), Murray International (MYI), Scottish Oriental Smaller Companies (SST) and Polar Capital Global Healthcare (PCGH). Some of the names on the list may be familiar to regular readers of Shares. 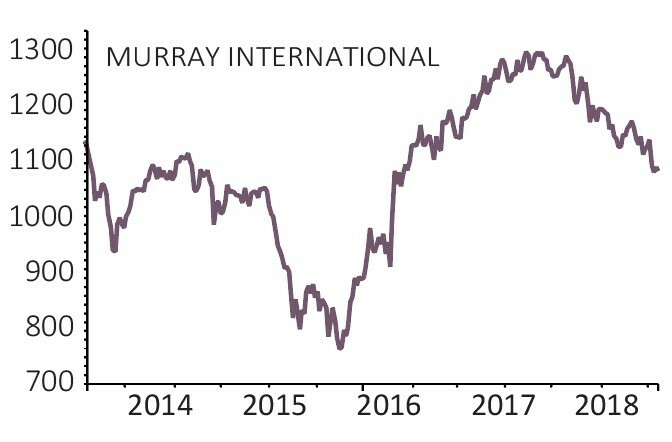 For example, in the Global space Scottish Mortgage (SMT) is one of the examples which has, on average, traded at a premium over the last 12 months but is now trading at a discount (albeit modest). You can find our latest analysis of Scottish Mortgage in the 18 October issue of Shares. Elsewhere on the list, the UK category includes Woodford Patient Capital (WPCT) which invests in early stage healthcare and technology firms. 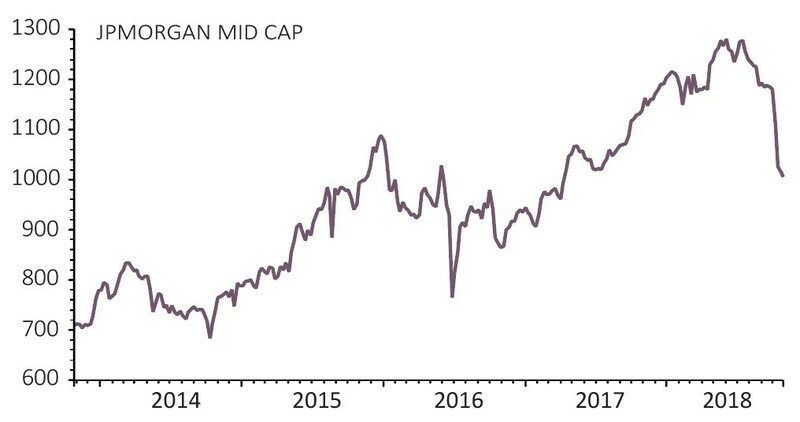 Its share price had already drifted to a material discount to NAV thanks to patchy performance, and this has only widened in the recent market sell-off. 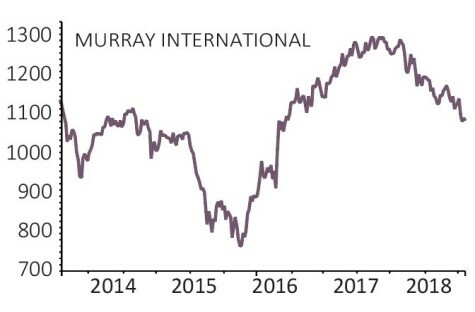 A shift in sentiment towards European stocks – which started the year in an upbeat fashion – has seen discounts widen in this space. For example, Henderson European Focus’ (HEFT) current discount is nearly double its 12-month average. A collection of trusts which have seen a significant widening of discounts are those which invest in Latin America. This reflects the economic problems affecting that region, particularly the two heavyweight nations, Brazil and Argentina. Managed by Bruce Stout since 2004, this trust has a global remit. Investment decisions are supported by 10 global equity specialists and for the most part Stout adopts a buy-and-hold approach with modest churn in the portfolio. Adopting a cautious and disciplined strategy, and investing in both stocks and bonds, this is a relatively concentrated fund with the top 20 holdings accounting for around half the portfolio. Stout is fairly negative on developed economies and prefers the growth on offer in emerging markets. Reflecting the wider weakness of this investment theme, 2018 has been a bit rough but he has outperformed the trust’s composite benchmark in all but three years since he took over as lead manager 14 years ago. Investors are being rewarded for their patience during this sticky spell by a generous looking dividend yield of 4.7%. Top holdings include microchip manufacturer Taiwan Semiconductor Manufacturing and Mexican airports operator Groupo Asur. The manager of this fund, Georgina Brittain, is a big advocate for the FTSE 250, a space which has delivered some of the best returns ‘in the world’, she previously told Shares. 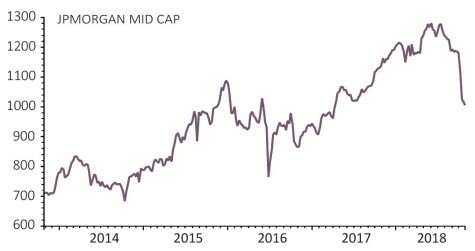 There are several factors which can make mid-cap stocks an attractive alternative to large caps. 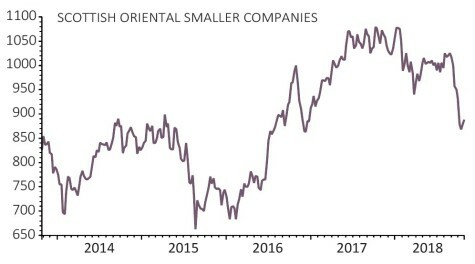 Because they are smaller, mid-cap firms typically have stronger growth potential and could increase their profit at a rapid rate if things are going well. 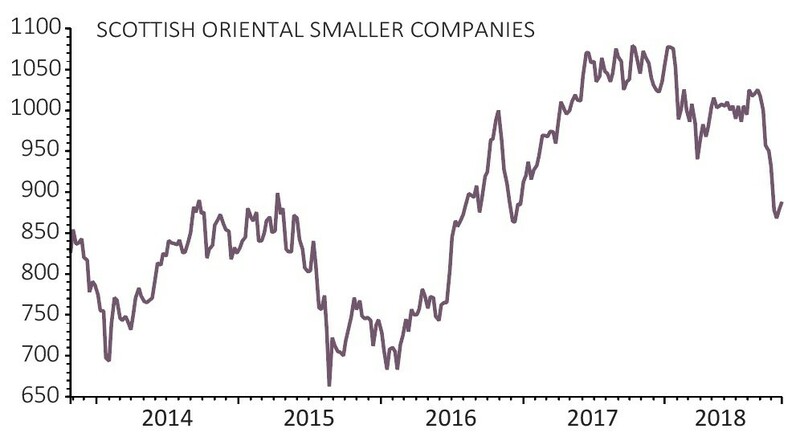 Companies in the FTSE 250 are not as widely followed as those in the FTSE 100 so analysts are more likely to underestimate earnings – though the reverse can also be true. In the 12-month period to 30 June 2018 the JPMorgan trust continued its recent habit of outperforming its benchmark. Numis’ investment trust team say stock selection was the main driver, with large long-term holdings in the likes of Ashtead (AHT), Plus500 (PLUS), Electrocomponents (ECM) and NMC Health (NMC) all being significant contributors to performance. The current portfolio manager of this smaller company Asia Pacific-focused trust was appointed two years ago and recently completed a restructuring of its portfolio. This was a tricky task due to the more illiquid nature of its underlying investments. It is now a more concentrated, higher conviction fund with less than 60 holdings compared with nearly 80 before this process. The trust has a significant weighting towards India which along with its neighbours Bangladesh and Pakistan account for 36% of the portfolio. Among its investments is Indian residential air conditioning specialist Blue Star which is gaining market share in a rapidly growing industry. Respected veteran Angus Tulloch ended his involvement in the trust in 2015 and it is now steered by Vinay Agarwal. Relaunched in June 2017, the trust invests in a focused global portfolio of what it hopes will be future success stories in a fast-moving healthcare space. At the last count the fund had 47 holdings operating across areas from biotech to medical equipment, healthcare facilities and education services. Although the portfolio is split into two camps – those above $5bn market cap (labelled growth) and those below this threshold (labelled innovation) – in truth an emphasis is placed on innovative companies across the board. Healthcare as a market should in theory benefit from shifting demographic trends with an ageing population putting increasing demands on drugs, kit and hospitals. However, the sector has underperformed in recent years because of uncertainty related to healthcare policy in the US (where the Polar Capital trust has large exposure), negative political comments about drug pricing, many blockbuster drugs coming off patent which hurts their owners’ earnings, plus a lacklustre pipeline of new drugs. Furthermore, shares in many healthcare supply chain companies have been sold-off amid news that some of big tech firms like Amazon, Apple, IBM and Google have been evaluating the healthcare space. These are important factors to monitor, but not reasons to abandon the sector completely. We believe there is now an opportunity to buy into the sector at cheaper valuations while the broader market is disinterested. that current government spending is unsustainable and healthcare systems are at breaking point. The closed-ended structure of investment trusts means they can trade at a premium or discount to the value of their NAV, typically influenced by investor demand for the shares. Some trusts look to counteract a lingering discount by employing discount control mechanisms which act as a way to close that valuation gap if the discount gets too wide. These are not mandatory and nor are they always followed to the letter. There are three main ways an investment trust will look to reduce the discount to its NAV, with the threshold anywhere between zero and 10% or sometimes higher. Probably the most common approach is to buy back shares in the market. Reducing the number of shares in issue should boost the NAV attributable to the remaining shares. Tender offers or redemptions, whereby the trust will allow shareholders to sell a proportion of their shares back to the company at either a fixed discount to NAV, or a price close to the NAV itself, are also employed. Some funds have a fixed life or a continuation vote in place. These arrangements mean either a trust will only exist for a fixed period or it will allow shareholders to regularly vote for it to be wound up after which shareholders will be paid their share of the company’s assets at or close to NAV.